My post questionning the latest Guardian hagiography of Gustavo Dudamel has sparked a healthy debate. But no one has yet made the obvious point that there are many other other examples of newspaper journalists supplying sleeve notes. 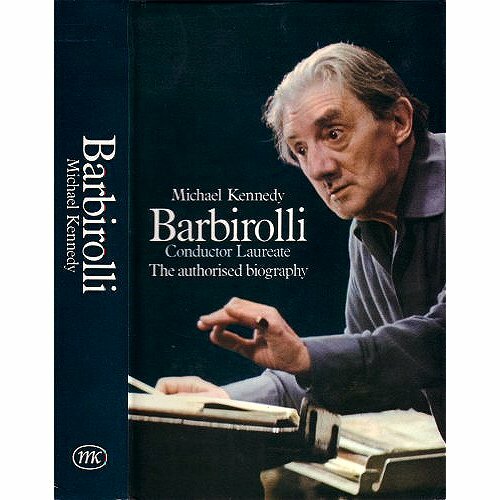 Among the more notable was Michael Kennedy who was both an editor and music critic at the Daily Telegraph and Sunday Telegraph between 1960 and 2005. As well as being a distinguished journalist Michael Kennedy supplied exemplary sleeve notes for many recordings of English music, notably Elgar and Vaughan Williams, and his books included biographies of Sir Adrian Boult and Sir John Barbirolli. 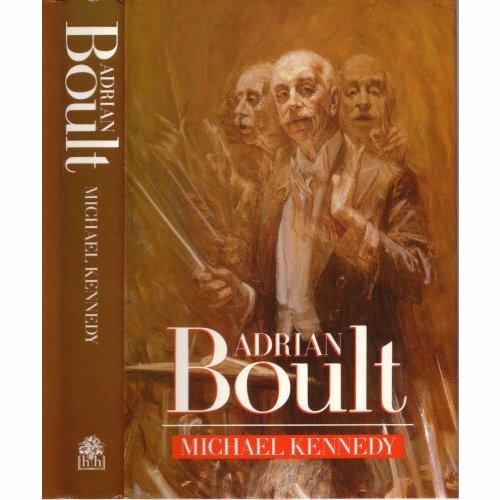 Yes, Michael Kennedy walked the fine dividing line between criticism and boosterism. But there is a fundamental difference between journalism in the Michael Kennedy era and journalism today, and it can be summed up in one topical word - integrity. 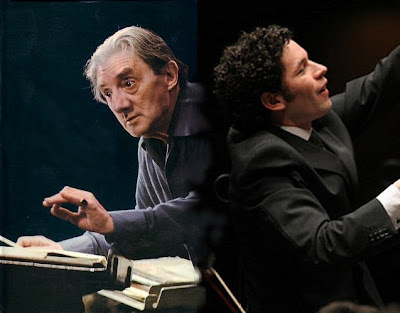 And before younger readers click away from yet another post about boring old dead conductors I would point out that Gustavo Dudamel and Sir John Barbirolli are linked by several paths. First, Barbirolli's Mahler attracted a lot of attention in its day. And secondly, 'Glorious John' was music director of an American orchestra from 1936 to 1943 where he enjoyed a critical honeymoon before being hounded out by the American press. Elgar's First Symphony conducted by Sir John Barbirolli at a King's Lynn Festival performance in 1970 provides the soundtrack to this post, and I am not embarassed to admit it once again moves me to tears. This BBC radio recording of a Festival concert by Barbirolli's adored Hallé Orchestra was made just five days before the great conductor died. The painfully slow speeds of the opening movements are surely a premonition of his imminent mortality, but these are transcended in the final Lento - Allegro by a radiant acceptance of impermanence. Certainly not a critic's choice, but in the light of this thread does that really matter? Now comes the rub. Sir John's King's Lynn Festival concert, which coupled the A flat Symphony with the Sea Pictures, was originally released on the BBC's own label but is now deleted, although I see a new copy awaits a reader who moves very quickly. Copies can sometimes be found from the Italian Suisa label: but, and do correct me if I am wrong, I suspect these are unlicensed as they do not acknowledge the provenance of the recording. And as I finish this post I spot another link between Dudamel and Barbirolli, and it is not slow speeds or the role that agents played in their careers. (JB's New York appointment was engineered by musical power broker extraordinaire Arthur Judson). No, the link is more topical, Gustavo's mezzo in Mahler's Second Symphony at the BBC Prom was the Swede Anna Larsson, Sir John's mezzo in Elgar's Sea Pictures was the Swede Kirstin Meyer. More on Barbirolli in 'Label me obsessed'. A case in point with the Guardian was Edward Greenfield, whom I always suspected of a degree of boosterism with anything from Chandos. Pretty much the first writing on music that I ever absorbed were EMI/Columbia LP sleeve notes by William Mann of The Times. I found them thrilling and can still recite whole sentences from them. David's comment is, as ever, very pertinent and I really should have mentioned Edward Greenfield before. Ted Greenfield has made an important contribution to music criticism working for the Guatdian and also writes excellent sleeve notes. But his position in the 1970s was very pro-André Previn - I know because I was at Previn's label EMI encouraging him! I have just pulled the original LP issue of Previn's Rachmaninov Symphony No 2 off the shelf and Ted wrote the sleeve notes following a trip to Russia with Previn and the LSO, which many would interpret as crossing the dividing line between criticism and boosterism. Which just goes to show boosterism is nothing new. Thanks David for reminding me of that.